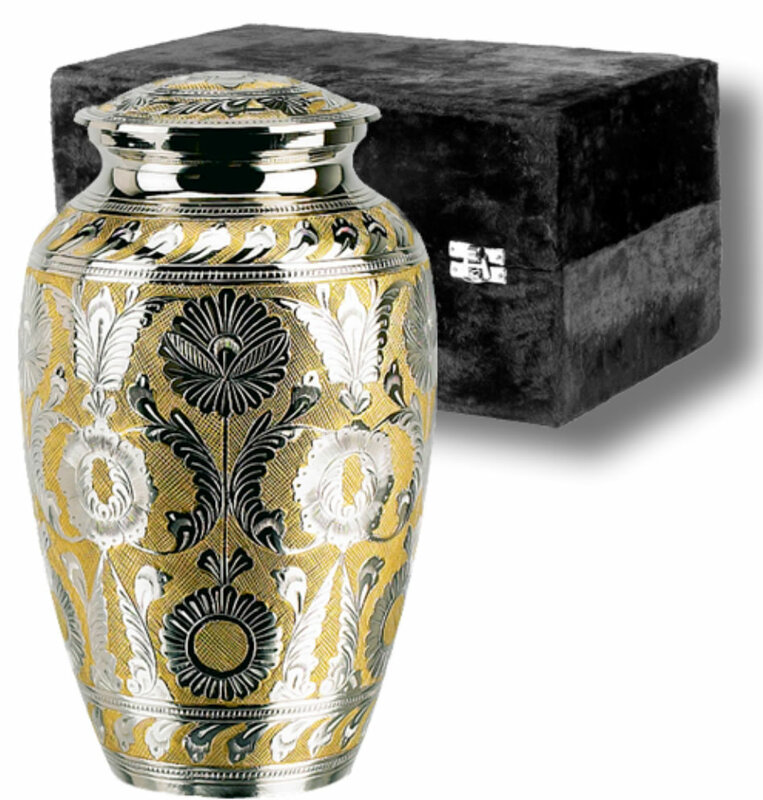 The Adult Classic SilverGold Cremation Urn is a solid brass urn with a hand-etched design over the whole urn and lid. The urn has a felt base to help prevent scratching furniture and comes in a velvet box. It is top-loading with a threaded lid for secure closure. The large urn is appropriate for most adults with healthy weights less than 220 pounds. The urn is also available in a medium, small, and keepsake size under different categories on our website.